Any successes, plus news of interest to writers. This wooden seat outside A La Ronde does not look too comfortable. When I learn of the problems other people have or have had in their lives, I’m humbled. I realise how lucky I am. My worries are as nothing compared to many unfortunates. Nevertheless, we did not have a good start to 2016, so we’re starting again! The letter which arrived for me from the hospital at the end of December did make my blood run cold. I have to admit I was scared, more so because it was unexpected. I’d had a CT scan for my ongoing thyroid problems and thought no more of it as I have a follow-up with the consultant in April. The news on that was fairly good, but the scan had shown a change in my pancreas – a lesion. While the doctors thought it may not be significant, I was concerned as a cousin of mine had died from pancreatic cancer when she was younger than I am now. That disease is hard to diagnose too. Trying to sort this out was impossible until the surgery opened in the New Year, but I have to say our local surgery acted promptly in referring me and taking blood tests. The radiologists had suggested a special scan, an endoscopic ultrasound. However, the first appointment to see the relevant consultant could not take place until March, so with the help of a mutual society in funding me, I decided to ‘go private’. Even this was not straightforward, as after several false starts, I discovered there is only one consultant in the whole are who can perform this test, whether on the NHS or private. I managed to have an appointment with him quite quickly and he tried to reassure me that it quite possibly was not cancer, but he couldn’t be sure without the test. I went ahead with the request, but still had to wait several long weeks. If it was necessary and safe to do so, the consultant would perform a fine needle aspiration through the wall of the stomach to the pancreas, a procedure not without a few risks. If it looked like cancer, he would not be able to do it due to the position of the lesion; it could spread cancer cells, so he would not take that risk. In the event, when I had the test, on the 25th February, he could tell without using the needle test, that in fact there are two cysts on the pancreas, which he believes will not trouble me. No cancer! What a relief, and since then I’m recovering from the stress of the wait. After all, I should realise that I’m no youngster and anything can happen at any age, but I love being here and hope to stay for a few more years yet. My guardian angel has taken care of me once more. At the end of that week, I had some good fortune with my writing as well, as if to say that life is on the up again. I received a small cheque from the Crystal Magazine as winner of the previous issue. Just what I needed to spur me on to try some more writing. There’s nothing like a health scare to galvanise one into action. My office (cupboard under the stairs) has never been as clear as it is now. It’s not perfect even now, as I hoard so much, but boxes of magazines, which I had hoped would provide inspiration for writing, have now been thrown out. A lot of unfinished writing has been placed in a pile to be completed; some has been discarded as worthless. I’ve tried to organise my personal affairs so that in any sudden change of circumstances, my dear husband Mike would not have problems. He has several health problems anyway, and he’s not happy dealing with paperwork, so I’ve tried to simplify everything. Not a bad thing to do really and all because of a scare. I intend to continue with the task by clearing out unwanted clothes and other items. We don’t need as much as we seem to accumulate. Now we’ve had a weekend break away in Exmouth, in sunny Devon, to clear the stress from our bodies, and make a fresh start. Photos are from that area. Happy New Year. The road to publication is paved, not with gold, but with plenty of frustration and even more hard work. The first magazine article for which I was paid, many years ago, was never actually published. The magazine folded, but paid me anyway. At least the fee was enough to pay my train fare to Germany to visit friends. Along the road to now there have been some successes, and even more rejections. That’s the way it goes and part of the character we have to develop as writers is a thick skin. Rejection is not personal; what is written is not what the editor needs or wants at that time. Another frustration is when an editor replies to your submission, saying that he/she wants to retain the piece for further consideration. A year or so later, still nothing from them and you feel unable to send the same piece elsewhere. The only thing you can do with that is rewrite the piece if it’s an article, slanting it in a different manner aimed at another publication. This last month I have had a poem published in a local publication – The Purbeck Gazette. (http://tinyurl.com/qfkxmvj) Unfortunately frustration has reared its head again as I’ve not seen it in print, only on the web. Normally we receive a copy delivered to our home, as does nearly every household. For the first time, nobody has seen one, and even the local library and tourist information office had so few copies that they were all gone before a lot of people were able to get to them. In the great scheme of things this is miniscule of course. I have also had a short story published in the Crystal Magazine (www.christinecrystal.blogspot.com for details). In spite of these frustrations, if we’re writers we carry on. For sure if you don’t write anything to send out, you will fail. Keep at it and your perseverance may pay off. Good luck and Merry Christmas to all. We wish for Peace and Harmony everywhere. Every day I’m grateful to be a part of this still wonderful world, even with all its problems. I’m so thankful that my life is relatively comfortable, with none of the terrible situations that many other people find themselves in. Despite that, if that if I had to choose my least favourite month it would be January. 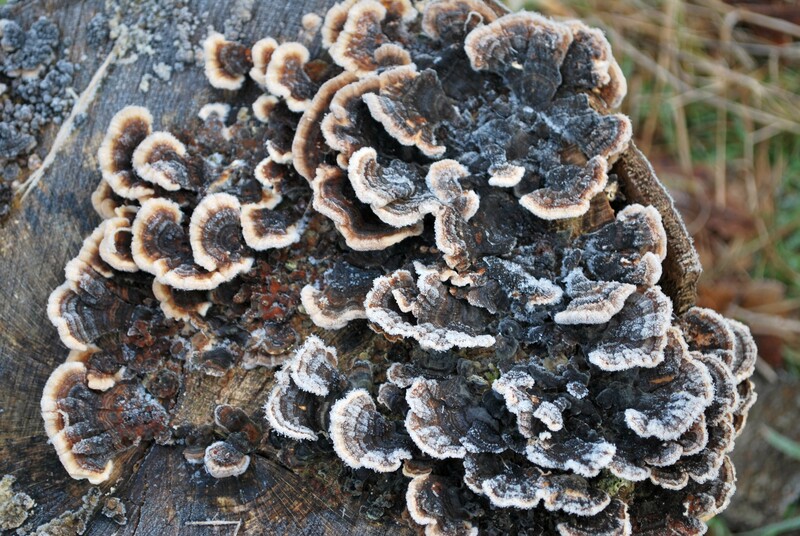 The climate here is such that the start of the New Year is often grey, cold and dismal, with quite a lot of rain. We’re looking backwards at the old year, and forwards to our hopes and aspirations for the next 12 months. Some animals hibernate; that sounds an enticing way to spend January. Either that, or if circumstances were such that I was able, I’d travel to a warmer climate, returning when February arrives. Our health is never as good in winter, we all feel exhausted and we spend time trying to avoid surgeries so as not to contract one of many nasty bugs. However, if that all sounds much too negative, January can still be lovely. 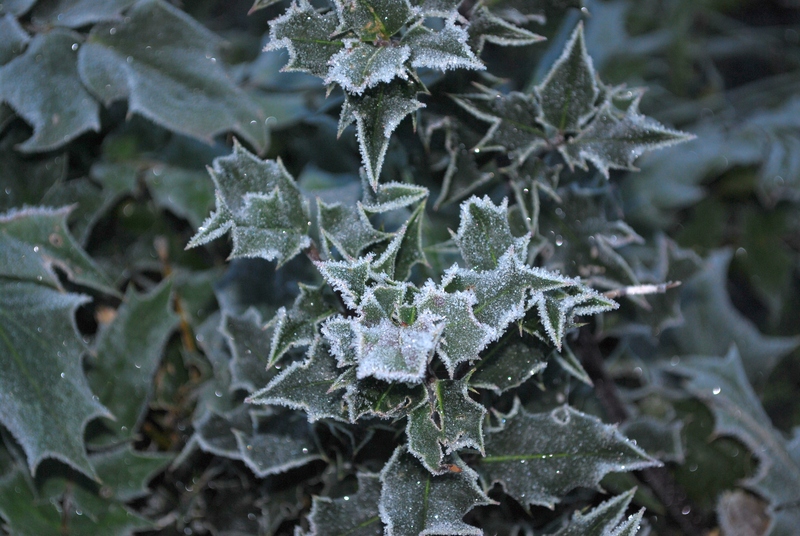 There is nothing nicer than a bright frosty morning, when a walk revives the spirit and allows you to think about your writing, or anything else you may have in mind. Last year was not a particularly good one for my writing. Time was very limited; after I’d finished caring for my sick husband, and my even sicker old dog, and with my own health issues, I was often too tired to concentrate for long periods. I had a few letters published in newspapers, a poem accepted by a magazine, several other poems accepted for anthologies and one or two pieces, both fiction and non-fiction published in small press magazines. I have another article pending with a main-stream magazine; they are retaining it for further consideration, so still hope there. However, the last occasion they did this, they kept the article for about 18 months, and when I queried, they sent it back saying they wouldn’t be needing it. By that time it was really out-of-date, so I couldn’t send it anywhere else. Ah well, nobody said it would be easy. Still, one thing about January is that it brings to us all fresh hope. Happy writing everyone. All around the world this month, people are writing like mad. How many of you writers are talking part in NaNoWriMo this year? If you think you cannot write enough words to complete the exercise, think again. It is very good practice and you may well surprise yourself. On top of that, you may end up with a novella ready to edit before publishing. It’s not too late – it finishes at the end of November, so you’d need to get cracking if you want to try it. 50,000 words are the goal. I did complete it for two years running, but shame to say, the two efforts are still sitting on my PC with little polishing or editing. It is my hope to look at them again and see what I can make of them. The first year I took part I had several hospital appointments, and used the waiting time to scribble away like crazy. It certainly helped my word count. 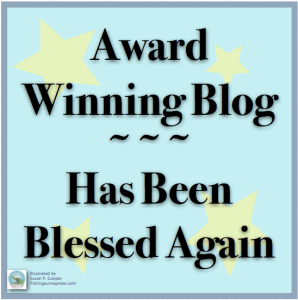 Tania has kindly nominated me for an award – Award Winning Blog. Recently Tania has released two of her books on Amazon Kindle. They are ‘For All our Sins’ and ‘The Principle of Evil’ and I anticipate a good read with both of them. I can’t comment too much at present as I have only just begun to read ‘For All our Sins’. Judging by her previously released ‘Broken Palace’, an exciting short story, I am in for a treat. I made little progress with my writing in October. I submitted an article to Crystal Magazine. The only success I had was a letter published in the Daily Mail. Sometimes when I am involved in longer work, I also try to write letters to newspapers and magazines. On occasions they pay quite well. Sadly not on this occasion! How do you reward yourself when you’ve had a success, or finished a big project? Enjoying a glass of wine sometimes(!) I keep a bottle of bubbly – usually Cava – in the fridge. Unfortunately the current bottle is having a long wait, but it will be opened soon. After all, I can’t risk it deteriorating can I? Finally, an autumnal photo for you. 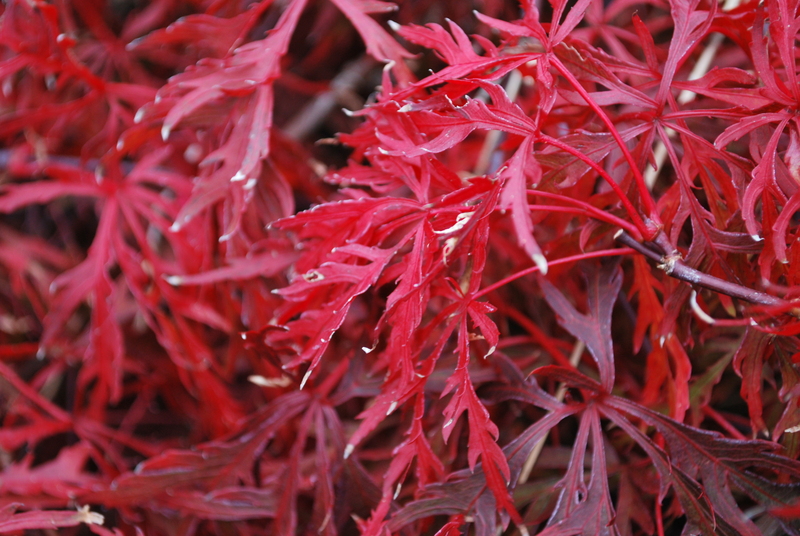 The small acer tree is in our back garden, and sometimes the colour is just wonderful. Happy writing, enjoy autumn. Writing for magazines is never going to be easy. These days a lot of articles are written in-house to keep costs down. There is so much competition for free-lance writers for any remaining space, but we should not give up the effort. If you are a free-lance writer or beginner, why not consider other markets as well as the glossy magazines? There are many on-line magazines (e-zines), and for printed work, there are small-press magazines out there. Christine does have subscribers from overseas as well as the UK. It’s a friendly magazine and we all enjoy reading each other’s work. Incidentally, in my last post I made a small error. Published in Crystal in the July edition I had a poem and a small non-fiction article, not as I said, a true story (that was the previous edition.) I have posted the true story on my Jottings page. Why not take a look at Crystal and see if you can write something to be published? Half way through April and I’ve not yet updated my progress for March. Here goes then. A poem submitted, and rejected. Same poem submitted, no reply. Two articles pitched to magazines – one rejected outright, the other no reply as yet. A letter in the Mail on Sunday. A short article published in the March edition of Crystal magazine. So far this month not a lot of progress, one of those times when life has been intruding into my writing times, but should be something to report before too long. It would be good if something could be accepted by a mainstream magazine, but hey-ho, there is so much competition for the slots. The only failure is to give up. Do We Have to be Crazy to Want to Write? Sometimes I wonder why we put ourselves through it all. Writers have to tolerate rejection, develop a thick skin. Even so, we continue in the pursuit of who knows what success? We’d do it even if no success came of it, because we have to. It’s an obsession. During February I submitted one short article, one full-length article, and several letters. Results so far – short article, no reply as yet, larger article rejected and now looking elsewhere for a home for it, and one letter published in a daily newspaper. This month’s article not quite ready to go, but nearly there. Earlier submissions have either still not had a reply, or been rejected. Carry on regardless. It’s the only thing to do. Sometimes surprising results arrive unbidded. This morning I had a phone call from an editor who said they’d published a letter of mine in November last. I remember the letter, but didn’t buy that particular edition of the magazine, although I tried to check most in newsagents’ shops. Must have just missed that one, so had no idea that it had been published. Anyway, she’s had a reply to my letter from another reader who wants to get in touch to help me with a gardening problem, the subject of my letter. Now awaiting correspondence from the lady. Interesting how we make contacts through our interests. Firstly, to send at least one article out per month. Not a lot you may think, but I’m not very fast. Secondly, to look at half-finished articles, stories, poems etc, and see if I can do something with them. In January I sent out one major article to a paying magazine – no acknowledgement yet, one short article to a small-press magazine, accepted. One poem to a paying magazine, also no acknowledgement. Published in January, one poem in a small-press magazine, one letter in a dog magazine. No money for either, but at least they’ve found a home. Between times, while I am researching or writing first drafts I try to write letters to papers and magazines, to keep the writing muscle working. I find it’s important to have these goals and I’ve planned out the whole year’s articles. They may not all come to fruition, but it’s a start. Writing is a peculiar occupation. Most of us have heard that writers of fiction often find that, in spite of any planning, their characters take on a life of their own, sending the story in a different direction. Strangely it seems that a similar thing can happen when writing non-fiction, not with characters perhaps, but with a spin-off or two. I’ve been researching for an article I’m writing; when I started the process of writing, I found several off-shoots springing out. Now I should have at least two articles, for different markets, and maybe more. It’s a pleasing result, although I still have a long way to go. On Saturday last, my Crystal magazine arrived, with plenty of reading material. The day was so wet and dark here in England, and the magazine really brightened my day. One of my stories in it too, so I’m pleased with that. Christine Carr is the Editor, and she always manages to put together stories, poems and articles with similar themes. Very clever.